Elephant Butte Dam and the reservoir, also known as Elephant Butte Lake, have been providing recreation and beautiful views since the Dam was completed in 1916. At the last census, 1390 people called Elephant Butte home, many of them retirees drawn by blue skies, fresh air, a moderate climate, proximity to the lake, and a peaceful environment. 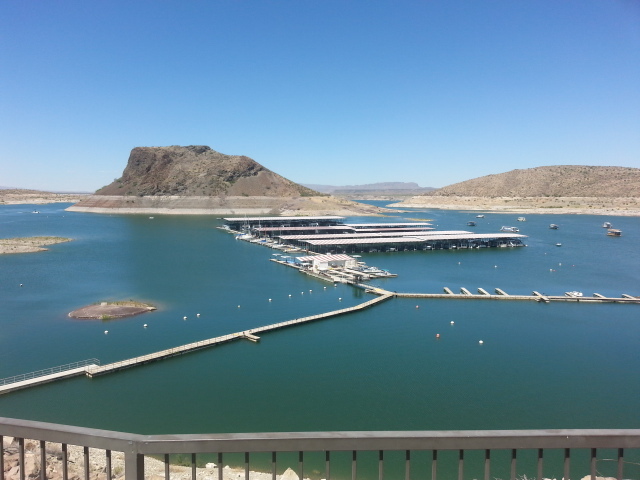 Elephant Butte Lake State Park offers camping, boating, fishing and all kinds of other water sports, some of which can be enjoyed year-round. The town’s residents get the best of both worlds – plenty of activity in summer, and quiet and serenity in the winter. Golfers will want to check out Sierra del Rio Golf Course at Turtleback Mountain Resort. The 18 hole course offers a club house, restaurant, and driving range. New beautiful new homes are available at Turtleback Mountain Resort, in view of the course. Hotels and restaurants, many of them along Highway 195, serve visitors to the lake and all of Sierra County.